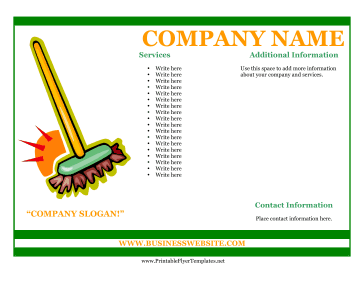 A picture of a broom decorates this cleaning business flyer, which is perfect for established and starting businesses alike. Your services (and even the prices!) can be listed using bullet points. Space for your contact information and company slogan are also provided. It's great for housekeepers, too.